Only in Australia could this feel-good story happen. 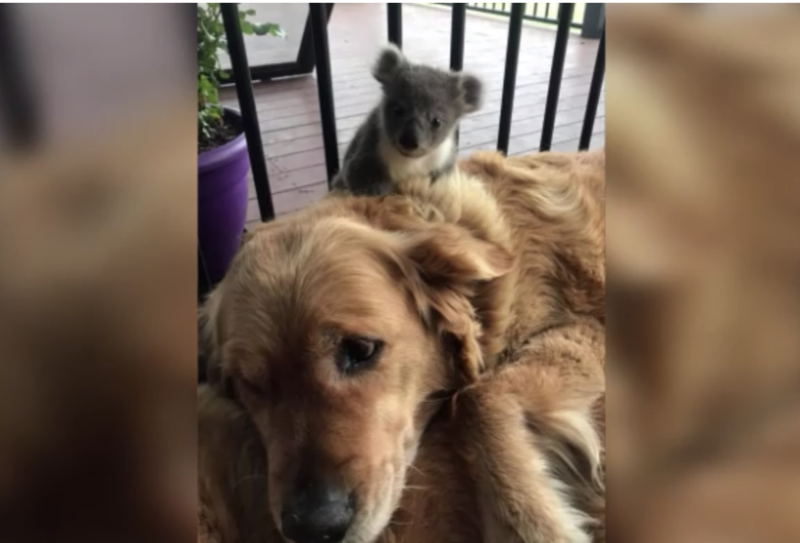 A golden retriever named Asha is being hailed as a hero after comforting a lost baby koala through the night. Dog owner Kerry McKinnon says she woke up on Monday and found her 5-year-old golden retriever cuddling with a new friend. "It was quite early in the morning, and my husband yelled out to me to come have a look at something," McKinnon told News Australia. What she saw was her dog Asha lying perfectly still as the baby koala, or joey, snuggled up in her fur. "She looked a bit guilty when I came out to see what was going on. Her expression was hilarious," McKinnon said. The dog owner says her golden retriever looked confused by the strange animal resting on her, but let it happen anyway. The temperatures in Strathdownie, the town in Victoria where McKinnon lives, were around 5 degrees Celsius (41 degrees Fahrenheit) in the early hours of Monday, so the koala was likely cold. McKinnon said the baby koala wouldn't have made it through the night if it wasn't for Asha. It's unclear how the koala ended up at McKinnon's house, but she thinks it fell out of its mother's pouch and wandered over to the sleeping dogs. The family took photos of the joey cozied up on Asha's back which have gone viral. McKinnon says it wasn't easy to separate Asha and her new koala friend, but they took the joey to a vet who knows how to care for koalas. The koala is doing well and is now being looked after by a local koala carer, she said. "It was really an amazing thing to see and so uniquely Australian," McKinnon said.